And I knew I needed to adapt it to second grade! It goes perfectly with common core opinion writing!!! 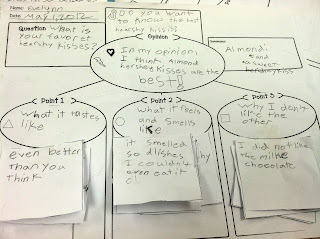 I was super excited because I knew my kiddos would be so excited and super engaged with this prompt: In your opinion, which Hershey kiss is the best? At 8am people. Seriously, what was I thinking???? They were bouncing. Off. The. Walls. If only you could see the excitement and anticipation in their eyes...oh boy. Once I threatened them managed to get them settled down, they did some really great writing. In my "Notes for next year", I wrote, DO THIS LESSON IN THE AFTERNOON...Preferably 10 minutes before dismissal!!! Boy do I wish I was in your class today. That is a fabulously fun activity and I could use some fun right now! Now I need to follow this blog! How fun!! Thanks for sharing this find, I am going to save it for next year!! This was such a great writing activity. Thanks for sharing your idea! My class loved it! Is it possible to get a copy of the organizer you used? 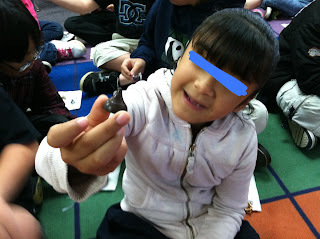 I do a descriptive writing prompt with one piece of snack size chocolate and the students use their senses to review it. They usually do some of their best writing for that one, but don't get too riled up because it's only one little chocolate candy and most of their prewriting is done before they get to the last of the senses, taste. This is a great idea. We have been doing some opinion pieces and I have been looking for another idea. I would love to use your graphic organizer if possible. lfinnegan@mwcsk12.org Thanks so much for sharing. OMG!! Thank you so much for sharing this!! I LOVE this idea! 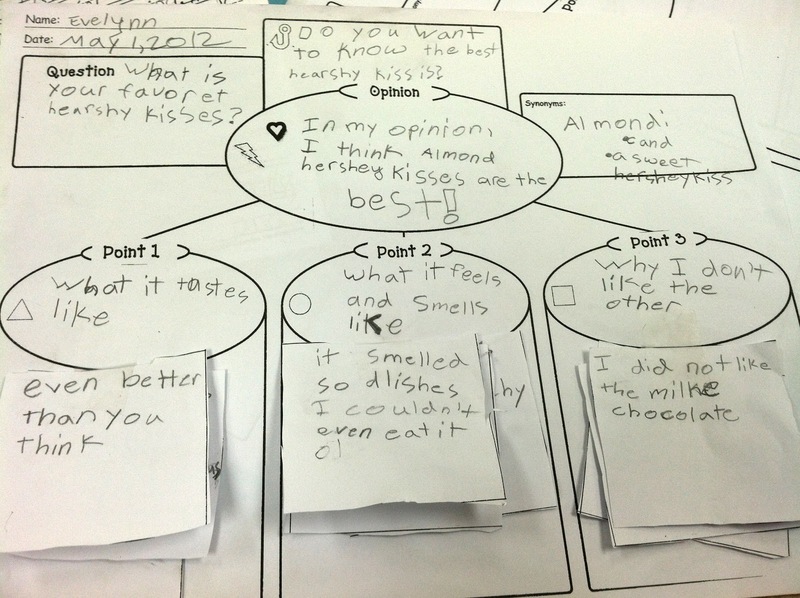 I did opinion writing with my 3rd graders a few weeks ago, and they were HORRIBLE!! (the writing) This looks like it will really guide them to write so much better! And what a FUN idea! Yay!! I love the organizer. Could I get a copy? deanna.struck@westernschools.org Thanks!! I think I'm going to try this. We've been out for snow the last few days and this would be a great way to get my kiddos going with their writing skills. Before we were out for snow, we were working on facts and opinions so this will be a good way to revisit that skill. Thanks for sharing.